This simple recipe is perfect for those days when you don’t feel like going to the grocery store to pick up those extra ingredients. 2. Heat vegetable oil in a large skillet. 3. Add chicken, garlic, onion, salt, pepper, sugar, and soy sauce. 4. Stir-fry chicken until hot and tender. 5. Add cooked rice and stir-fry for 5 minutes. 6. Add vegetables and stir well into rice-meat mixture. 7. Just before serving, stir eggs carefully into rice, coating as much rice as possible, until eggs are cooked. 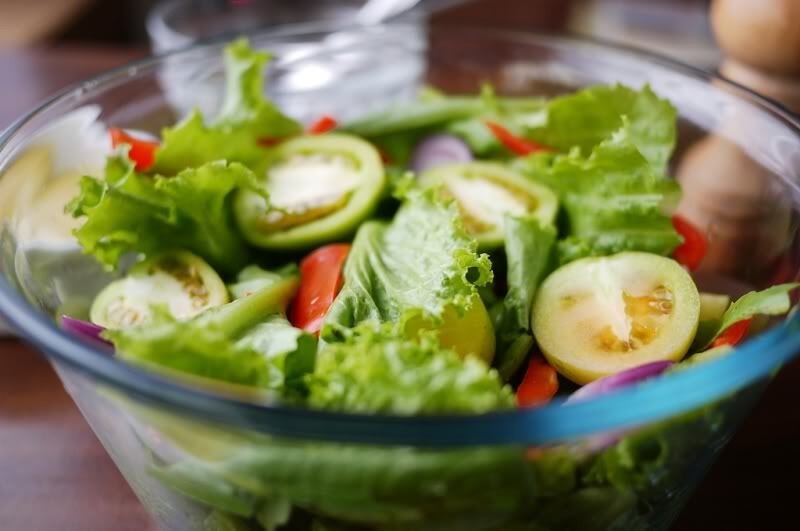 Here is a tasty and colourful salad that is sure to tantalize your taste buds and renew your love for leafy greens! Wash and prepare all the salad ingredients and place in a large bowl. Set aside. Mix together all dressing ingredients and let sit for 20 minutes to allow flavours to blend. Toss the salad and add the dressing. Enjoy!